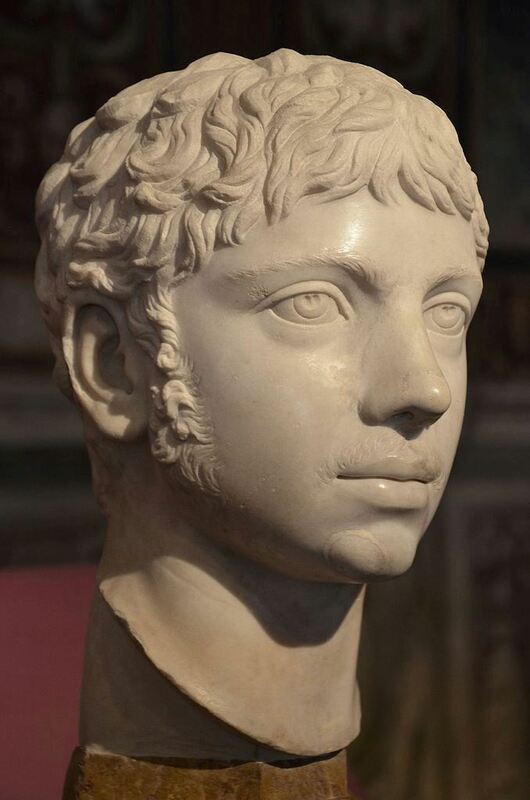 Elagabalus was Roman emperor from 218 to 222. A member of the Severan dynasty, he was the second son of Julia Soaemias and Sextus Varius Marcellus. He was called Elagabalus only after his death. Elagabalus showed a disregard for Roman religious traditions and sexual taboos. He replaced the traditional head of the Roman pantheon, Jupiter, with the deity Elagabalus, of whom he had been high priest. He forced leading members of Rome's government to participate in religious rites celebrating this deity, over which he personally presided. Elagabalus was also reported to have prostituted himself in the imperial palace. His behavior estranged the Praetorian Guard, the Senate, and the common people alike. In 222, he was assassinated and replaced by his cousin Severus Alexander. Ref: SNG Cop. 146; BMC 55-60.